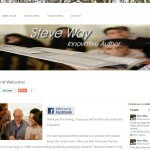 Innovative Author, Steve way, offers creative writing workshops particularly aimed at “reluctant writers” of all ages, along with presentations of his maths-based and science-based stories, sketches and poems. He writes fiction and non-fiction for children and has had a series of maths-based and science-based story books published to help support the primary curriculum, along with standard fiction and non-fiction books and material to support creative writing. This site is managed by Richard Gentle. Personal author site. 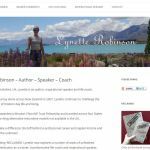 Lynette is an author, inspirational speaker and life coach, who has written a book about a transformational journey she took after watching the DVD, ‘The Secret’. Personal author site. 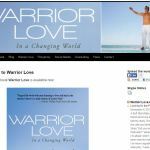 Roger King’s book about a personal journey and vision to assist with creating a world where it is safe for everyone to love themselves and each other, including all their blind spots. It is a book about the relationships of men and women in a society that is evolving its conscious awareness in a world of expanding opportunities for personal fulfilment. 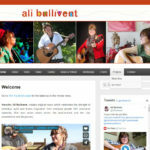 Vocalist, Ali Bullivent, creates original music which celebrates the strength of individual spirit and draws inspiration from everyday people who overcome adversity. She also writes about artists, the environment and her own experiences and life journey. 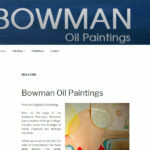 Fine Art: Original Oil Paintings. Bowman was a student at Kings College, Dunelm, under the tutelage of Victor Pasmore and Richard Hamilton. This site is managed by Richard Gentle. 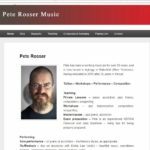 Pete has been a working musician for over 30 years, and is now based in Agbrigg in Wakefield (West Yorkshire), having relocated in 2016 after 25 years in Stroud. This site is managed by Richard Gentle.